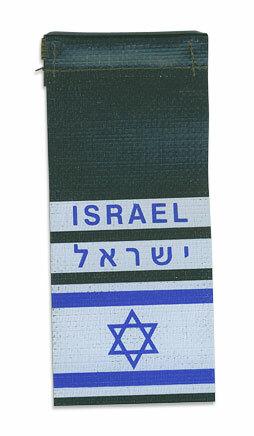 IDF Israel Flag Shoulder Tag. 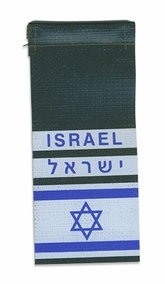 Typically, each IDF unit (yehida) has its own shoulder tag. Shoulder tags consist of a long section and a tip, which can be one of four shapes: a circle (commands, directorates and air force units except anti-aircraft), a square (Golani Brigade), a diamond, or a shield-like shape (most common).